Well it's that time of year that I search through Pinterest and the web to find the cutest Christmas wreaths. This year I will be DIY'ing one because sadly the one I normally hang has fallen apart. No matter how many times I glue my pinecones back on they keep managing to fall off and leave dried hot glue in their place. I've posted about wreaths before here and here, but every year there are more cute ones. So here's my inspiration for this year's door wreath. 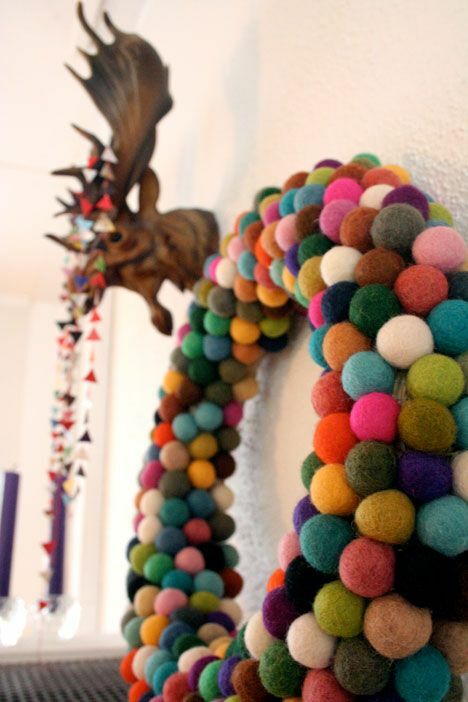 Multi-colored felt ball wreath in pretty muted tones. 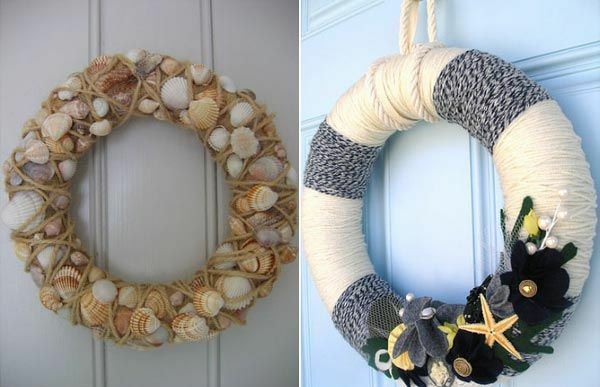 I love the wreath on the right with striped yard and black, gray and gold embellishments. 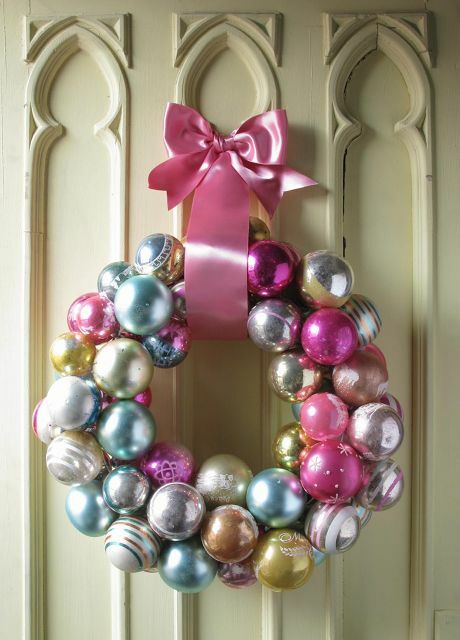 This ornament wreath is s pretty but I would choose plastic ball ornaments instead. 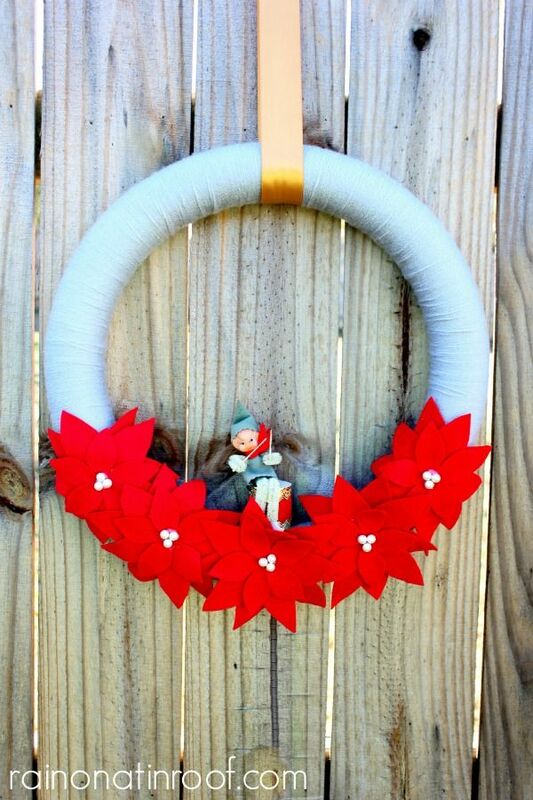 How cute is this baby blue yarn wreath with red felt poinsettia and little elf?? Such a cute idea. 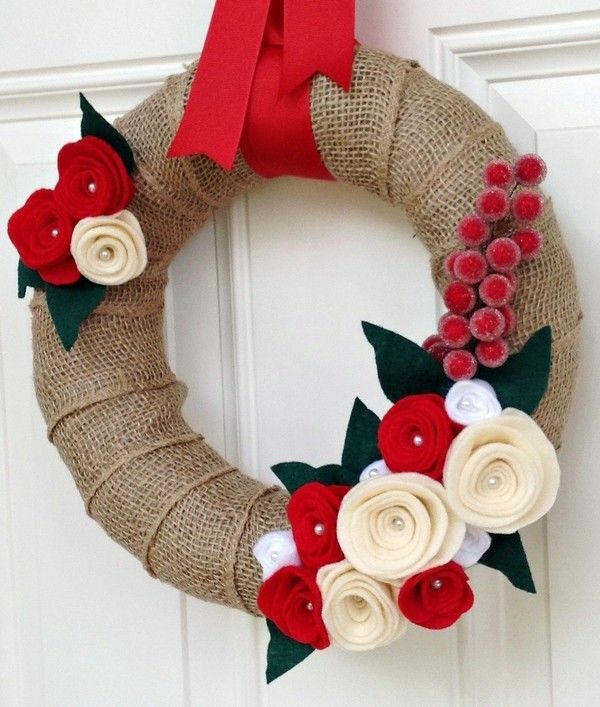 This burlap wreath seems easy enough to make. Hmmm, so many choices! Can't wait to decide on one, make it and show you guys!